Since 2004, Panduit and General Cable‘s world-class partnership has provided high-performance infrastructure solutions, guaranteed network performance and system reliability. By combining the technological expertise and innovation of Panduit connectivity and General Cable cabling products, PanGen Structured Cabling Solutions provide a wide range of world-class copper and fiber solutions to support all of your needs. Our combined Category 6A, 6 and 5e high-performance copper and fiber systems with network connectivity and cables provide a robust and optimized cabling infrastructure that exceeds all electrical parameters for today and into the future. By working with Panduit, General Cable and our partner ecosystem, we enable you to achieve your business objectives and realize predictable and measurable results. Our certified installers are authorized to deploy solutions that can offer the PanGen Certification Plus℠ System Warranty. 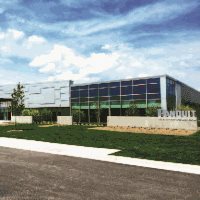 This system warranty provides end users and customers the assurance that their new structured cabling system meets or exceeds the Commercial Building Telecommunications Cabling Standard. A properly designed and implemented cabling infrastructure is a fundamental strategic asset of every business and institution. Carefully planning a structured cabling solution facilitates the delivery of new services, lowers network maintenance costs and increases productivity. New high-bandwidth applications enable organizations to better fulfill their need for productivity and innovation in a rapidly changing world. 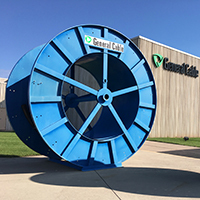 With a 170-year history of industry leadership, General Cable is one of the world's largest wire and cable manufacturers.